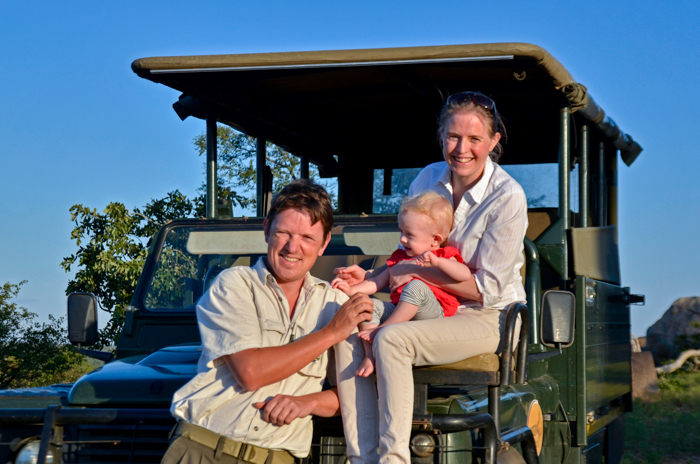 Based in Phalaborwa in the Limpopo Province, Nandzana Safaris is owned by Craig and Alison Young. Born in South Africa and Great Britain respectively, Craig and Alison have built respected careers in professional safari guiding and the hospitality industry in South Africa. Utilising their combined years of experience, intimate knowledge and passion for the African continent, Craig and Alison are safari specialists dedicated to working directly with you to ensure a superb safari experience. They specialise in crafting exceptional custom safaris to the Kruger Park – and love nothing more than inspiring your sense of wonder and discovery through the creation of life-changing safari experiences. As an owner-operated safari company, keeping it personal is what it’s all about. If you're planning your first trip to Africa, or you've been bitten by the “safari bug” and are returning for another safari adventure, they are here to inspire you. Whether you’re planning a family safari that educates and excites, a honeymoon steeped in the romance of Africa, or simply the adventure of a lifetime, they work with you to design unique custom safaris that will realize your dreams and shape your memories for a lifetime. Nandzana Safaris is built upon their deep love of Africa. The bush inspires and enriches their lives on a daily basis and their company is built upon the desire to inspire your sense of adventure and share the wonders of the Kruger Park area, their home, with you… enriching your life in ways you will never forget.